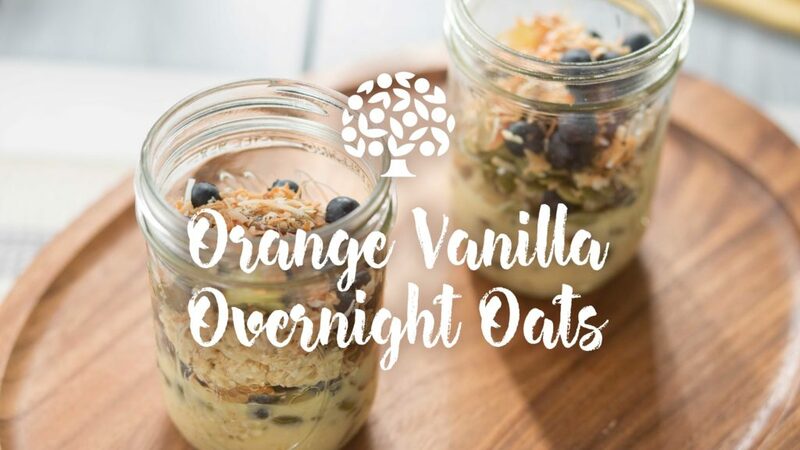 Our Easy Orange and Vanilla Overnight Oats recipe is a delicious breakfast you can make ahead of time to enjoy during a busy week. The oats and seeds in the recipe make it an excellent source of fiber, which contributes to overall digestive and gut health. One serving provides a good source of iron, and, when combined with the vitamin C in Florida Orange Juice, the iron can be more easily absorbed by the body. With the great flavor of Florida Orange Juice, you can be confident you are providing your family with a delicious and nutritious breakfast. 1. In a medium bowl, place the seeds and add water to soak. 2. In a large bowl, mix the Florida Orange Juice, oats and vanilla. 3. Cover both bowls with cling wrap and place in the fridge overnight. 4. In the morning, use a spoon to scoop a couple of mounds of the soaked oats into 4 Mason jars. 5. Add the soaked seeds on top of the oats. 6. Top the oats and seeds with lightly toasted coconut and fresh grapes (or other desired toppings).